Is China looking to build and use Gwadar in Pakistan as Hong Kong West to accelerate development in its West? Will Gwadar serve as a superhighway for China's trade expansion in Middle East, Africa and Europe? A point to project Chinese economic and military might westward? As the Americans look to Asia with the US Pivot to Asia and the Trans Pacific Partnership (TPP), the Chinese are looking to expand westward with Central Asia as well as Africa, Europe and the Middle East with "One Road One Belt" initiative funded by Silk Road Fund and Asian Infrastructure Investment Bank (AIIB). Pakistan is a crucial partner in this strategy, particularly the development of Pakistan-China Corridor linking China's western region with Gwadar port on the Arabia Sea. The China-Pak Corridor deal could prove to be transformational for Pakistan's economy, prosperity and rising living standards of its nearly 200 million people. As development work moves forward for Gwadar and China-Pakistan Corridor, I fully expect several hostile nations, including neighboring India, to use their proxies on the ground in Balochistan and some members of the "civil society" made up of some foreign-funded NGOs in Pakistan to make progress as difficult as possible. There will be serious efforts by many to resuscitate the dying Baloch insurgency. Pakistani people and both civil and military leaders need to be prepared to deal with these hurdles. Prime Minister Nawaz Sharif on Friday expressed optimism on the possibility of transforming Gwadar in Balochistan into a successful free port on the same lines as Hong Kong to attract foreign investment and boost national economy. He announced that the Chinese Delegation coming to review plans for options regarding the proposed economic corridor would reach Pakistan on Monday. Sharif also approved in principal upgradation of the existing railway track system between Karachi and Peshawar at a cost of US 2.7 billion dollars. The two-year project would modernise signaling, communications, locomotives and enable the trains to run at a speed of 120 km per hour. This would also shorten the time needed to travel between Karachi to Lahore from 18 to 12 hours and between Karachi to Peshawar from 27 to 17 hours. Minister for Railways Saad Rafique said around 67 per cent of the country's rail track was overage and so was its entire locomotives fleet and signaling system. The prime minister also proposed construction of a new airport for Islamabad at Rawat, construction of new tunnels, train links and roads across the country. He, however, noted that the economic activity in the country could only be expedited once there was peace and tranquility. Mentioning the recent deliberations of the Defence Committee of the Cabinet that discussed the issue of extremism and terrorism, the premier said there was also a need to address the energy crisis on urgent basis. PM Sharif stressed the importance of a meaningful interaction with militants and said it will help address all issues. “Importance of dialogue could not be ruled out,” he said. He said Pakistan had to tender apologies for the killings of Chinese nationals in terror-related incidents. “How long will we tender apologies? We need to rectify the wrongdoing,” the prime minister said. Referring to the Economic Corridor, the prime minister said both sides were taking keen interest in the project as not only China but the entire region would benefit from this mega project. He said Pakistan-China Economic Corridor was future of the country. He recalled his earlier meetings which discussed the Trade Corridor from Kashgar to Khunjerab and Gwadar and in principal, approved the proposed alignment of Pak-China Trade Corridor, with the directions to further evaluate the proposal in terms of time and cost efficiency. The prime minister said that as the mega project would go through underdeveloped areas of Pakistan, it would also help develop those areas and bring them at par with the developed ones. “It would connect all the provinces and all the regions would equally reap the benefits of the project,” he added. He said the existing Motorways could be handed over to the private sector to generate around Rs 250 billion annually that would help fund construction of new roads. The prime minister directed that the existing and the new motorways be linked with the highways to improve connectivity. Nawaz Sharif said that the proposed tunnel through the Margalla hills to link Islamabad with Haripur would provide a shorter route to the commuters of Gilgit-Baltistan, Mansehra and Abbottabad. He said the Islamabad Expressway would be extended up to Muzaffarabad and Lower Topa - Havellian portion would be soon built. He added that the Islamabad-Muzaffarabad Expressway project was his vision and it had been planned in his previous government. The road between Zero Point and Rawat would be built like Shaikh Zaid Road in Dubai having business and residential centers along it, he added. Prime Minister Sharif said similar projects could be conceived in Lahore and Karachi, including underground Metro Train service in the two mega cities and added that China had shown keen interest in the project. ​Today more than 60% of Pakistanis are under the age of 30. Unemployment, especially, among youth remains high. With no jobs, and lack of opportunities youth are taking it upon themselves to create opportunities, as Hassan did. Now, spurred on by Chinese President Xi Jinping's signing of energy and infrastructure agreements with Pakistan worth $46 billion, Modi wants to swiftly sign trade deals with Iran and other Gulf countries. The investment would go into building the China-Pakistan Economic Corridor. This would include a road connecting Gwadar port in Balochistan with Kashgar in Xinjiang province of China via Pakistan-occupied Kashmir. The 3,000-km corridor would have industrial parks and 10.4 GW of power projects worth $15.5 billion. China is already upgrading the 1,300-km Karakoram Highway despite Indian opposition. The highway, being built by state-owned China Road & Bridge Corporation, is expected to be ready by September this year. China's help in developing infrastructure in the disputed part of Kashmir is seen as its support to Pakistan's claim on this region. The ambitious vision is to resurrect the ancient Silk Road as a modern transit, trade, and economic corridor that runs from Shanghai to Berlin. The 'Road' will traverse China, Mongolia, Russia, Belarus, Poland, and Germany, extending more than 8,000 miles, creating an economic zone that extends over one third the circumference of the earth. The UAE has updated air service agreement with Pakistan allowing open skies approach on new points in Pakistan including Quetta, Turbat, Gwadar, Panjgur as well as increased passenger capacity to Karachi, Faisalabad, Multan and Sialkot. The two-day negotiations between both parties resulted in signing an updated air service agreement between Pakistan and the UAE. Saif Mohammed Al Suwaidi, director-general, General Civil Aviation Authority (GCAA), signed the agreement on behalf of UAE while Amjad Ali Toor, additional secretary for aviation division, signed on behalf of Pakistan. The signing ceremony was also attended by UAE ambassador to Pakistan Isa Basha Al Noaimi, Khaleej Times reported. Al Suwaidi stressed the importance of this updated agreement which will contribute to boost trade, tourism and investment between UAE and Pakistan. During his visit, Al Suwaidi toured the new airport in Islamabad which will be inaugurated in the second half on 2016 with a capacity to handle 50 million passengers. Ms Laila Ali bin Hareb Al Muhairi, assistant of director-general of strategy and international affair at GCAA, said that UAE ranks second internationally in term of open skies agreements. “UAE is driven more than ever to continue its international collaboration in air transport and shall continue its far-reaching and sound advances toward opening and liberating skies with countries of the world,” she added. People of the Bronze Age once occupied the Makran region surrounding Gwadar. The Greeks coined a name for Makran, when Alexander’s army passing through it, derived it from the Persian phrase Mahi Khoran meaning ‘fish-eaters’. 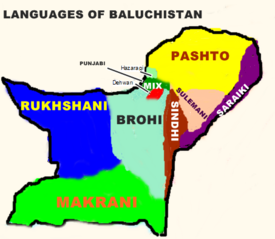 Since there is no ‘kh’ sound in the Balochi language, it came to be called Makran. After the collapse of Alexander’s empire, the region continued to be ruled by one of his generals. This explains why the residents of Ganz, a shanty fishing village between Gwadar and Jiwani, have Caucasian looks. Mohammad bin Qasim captured Gwadar in 711AD. In 1783, the Khan of Kalat granted Gwadar to the defeated ruler of Muscat, Taimur Sultan. The area was transferred (Fact: Purchased by Pakistan) to Pakistan in 1958. Although inhabited by a small community of fishermen, Gwadar has historically been considered important due to its strategic location. Balochistan, in general, is confronted with threats from the Taliban, separatist insurgents, and India, all of whom have attempted to impede the development of Gwadar and the economic corridor. Furthermore, the US is closely watching Chinese developments at Gwadar, which can potentially give China access and control over the mouth of the Strait of Hurmuz from where about 80 per cent of fossil fuels are transported. In addition, we should also look at the impact that lifting of sanctions on Iran, given the nuclear deal, and improvement in Iran-US ties will have on our region. Iran has strained relations with Pakistan, with cross-border movement restricted intermittently. Furthermore, India is developing a naval base at Chabahar that may at some point in the future also dock US aircraft carriers if relations between Iran and the US continue to improve. The strategic alignment between the US and India could create obstructions to the development of Gwadar. The Pakistani government seems to have no specific plan for the people of Gwadar, thus allowing for their marginalisation, like the Native Americans were in North America. The beneficiaries of the development work in Gwadar will by no means be the indigenous people. The deprivation of the locals has already started, with the clearing and forwarding of ships being assigned to companies other than those from Gwadar and nobody to listen to the hue and cry of the local clearing agents. 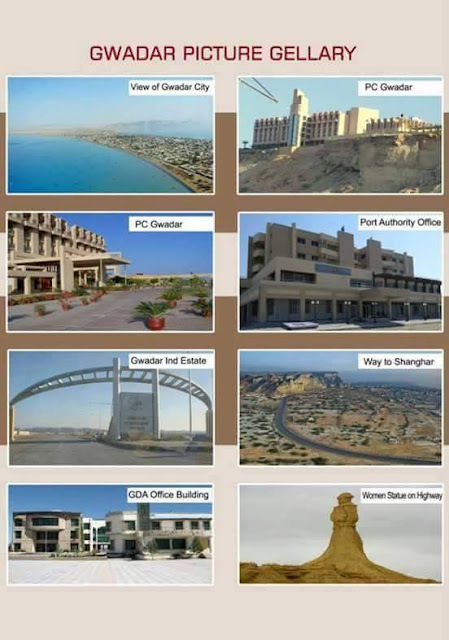 The Balochistan government is doing absolutely nothing to prepare its youth for availing the job opportunities that will come up in the near future in Gwadar. The technical training centres once produced highly trained and technical hands when they were under German management. Now, they are dysfunctional. It is up to the provincial government to press upon the Chinese government to send youth from the Gwadar-Makran area on scholarships and vocational training to China. “We’re expecting at least one million tons of material will go in and out” next year, Zhang said, speaking at a day-long conference in Gwadar city. The projected traffic represents a 100 percent increase over this year’s throughput, but is a far cry from the 300-400 million tons per year that the Gwadar Port Authority envisions for the facility, which has ambitions of becoming a regional hub. Zhang acknowledged that Gwadar now had minuscule traffic – mostly Pakistani government-subsidised fertilizer imports – but he predicted a swift transformation in coming years. Part of the problem is that the new roads that CPEC is expected to build, linking the port to China’s industrial zones, have not yet come online and the Pakistani province of Baluchistan does not have enough export-ready products. “Even if you have a very good port, (if) you don’t have an inland transporting system and the economy in the near area is not very positive, the port will not be fully utilised,” he said. He added that his company planned to develop seafood processing plants and other facilities in a 923 hectare free zone outside the port. NEW DELHI: India and Iran agreed to fast-track the Chabahar port project that will open up access to central Asia, as Foreign Minister Sushma Swaraj held talks during her first visit to the country on Sunday. The two countries decided in 2003 to develop Chabahar on the Gulf of Oman, near Iran's border with Pakistan. The port in southeast Iran will allow India to bypass Pakistan to transport goods to Afghanistan and central Asia using a sea-land route. Pakistan does not allow India to send goods through its territory to Afghanistan and has only recently begun to allow a trickle of Afghan exports to cross through to India. The Chabahar project moved slowly because of the sanctions over Iran's nuclear programme, which have now been removed. The two countries maintained a close relationship despite the US-led trade restrictions that halved their oil trade to 220,000 barrels per day in 2014. India wants to develop the port as a counter to Pakistan's Gwadar port, which was built with Chinese assistance and is 72 km from Chabahar. In February, the government cleared a 150 million dollar line of credit and the formation of a company in Iran to handle the project. Sushma Swaraj, on a four-day tour of Iran and Russia, yesterday met Iranian President Hassan Rouhani and said in a statement that he had spoken of Chabahar as a defining partnership which has the potential of connecting the entire region. Chabahar is the first foreign port that India is directly involved in developing; it has the capacity to handle 2.5 million tonnes a year. Chabahar is officially designated as a Free Trade and Industrial Zone by Iranian government. Due to its free trade zone status, the city has increased in significance in international trade. ISLAMABAD: Pakistan recently hosted the 15th meeting of the Central Asia Regional Economic Cooperation (Carec), a body working for the collective benefit of the region by promoting economic cooperation. Pakistan is increasingly looking at Central Asian states in an effort to forge trade links and give a fillip to its dwindling exports. However, so far, it has not been able to tap the full trade potential because of lack of infrastructure for connecting the South and Central Asia regions. Carec is also pushing ahead with plans to encourage regional connectivity to enhance the trade volume. In the Carec meeting, more than 200 participants from 10 member states and multilateral development partners participated. The member countries included Afghanistan, Azerbaijan, China, Kazakhstan, Kyrgyzstan, Mongolia, Pakistan, Tajikistan, Turkmenistan and Uzbekistan while Georgia took part as an observer. Carec is an important forum that encourages regional countries to develop physical networks and infrastructure and ensure peace, stability and economic development. Strategies and initiatives were highlighted at the huddle to stimulate much-needed investment in energy sector of the member states. After a briefing on selected case studies undertaken by Carec members including Pakistan, prominent investors shared their insights to identify and make investments in energy projects. Addressing the meeting, Prime Minister Nawaz Sharif appreciated that Carec had mobilised $29 billion for pouring into regional development projects and voiced hope that a mid-term review of the regional body in the next 10 years would prove to be an opportunity to fast-track economic cooperation. The regional connectivity may lead to economic development and prosperity of the region. In this connection, Pakistan is working on energy projects such as the Central Asia-South Asia 1,000-megawatt (Casa-1,000) power import project and the Tapi gas pipeline that will start from Turkmenistan. The Casa-1,000 is also going to pave the way for digital connectivity between the two regions through a fibre optic cable network called Digital Casa-I, which will link Tajikistan, Afghanistan and Pakistan. The existing cable reaches Pakistan after going through a long route. It first goes to Russia, extends to Europe and then comes to Pakistan. The new project will provide a good route to connect the two regions. It will allow regional countries to become independent while tapping the international internet channels. In his welcome address at the Carec ministerial meeting on the theme “Linking connectivity with economic transformation”, Finance Minister Ishaq Dar said the China-Pakistan Economic Corridor (CPEC) programme, which Pakistan had undertaken, would complement regional connectivity initiatives of Carec members. He stressed that the CPEC offered a massive opportunity for connectivity between Central Asia, Middle East and Africa and was bound to play a defining role in economic development of the two regions. Dar said improving the transport corridor was not an end in itself but it was an investment in establishing sound infrastructure and complementary frameworks for shared prosperity of the present and future generations in the region. The markets of Central Asian states and Russia are open and this is the area where Pakistan needs to increasingly focus on. With an air of distrust between Islamabad and Washington over the latter’s inclination towards Delhi, China and Russia could not only support Pakistan’s economy, but they will also block India’s efforts to isolate Pakistan in the international arena. To achieve all that, Pakistan needs to forge deeper links with the Central Asia region and Carec can play a decisive role in that connection. The primary north-south transport corridor in Pakistan runs from Torkham on the northern border with Afghanistan and passes through primary production and population centres such as Peshawar, Islamabad, Faisalabad, Multan, and Khanewal, before reaching the port city of Karachi in the south. The corridor serves the economy of an area that accounts for 80 percent to 85 percent of the country’s GDP and in the regional context, forms an integral part of the Central Asia Regional Economic Cooperation (CAREC) corridors 5 and 6 after Pakistan's accession to the CAREC Programme in 2010. The M-4 Motorway, linking Faisalabad with Khanewal, would be completed by July 2018, said National Highway Authority (NHA) member Mansoor Ahmed Sirohey on Friday. He told journalists that the Asian Development Bank (ADB) is the leading financer in M-4 Motorway, as the bank disbursed $170 million (77 percent share of the project) in 2009 for construction of a 58km four-lane motorway M-4, connecting Faisalabad to Gojra (section I). This section was completed in December 2014. Similarly, the ADB would provide 56.15 percent share of the funding of the section II of the M-4, which will construct the 62km four-lane access controlled motorway connecting Gojra and Shorkot. Meanwhile, government of the United Kingdom would provide grant of 29.02 percent and Pakistan would release share of 14.83 percent. The project is expected to complete by 2018, he added. Sirohey said that contract for section-III of the motorway linking Shorkot to Khanewal has been signed and construction is expected to commence in December 2016. The ADB noted that M-4 Motorway in Punjab, linking Faisalabad with Khanewal, will cut travel time and support the government's broader goal of improved investment and trade flows along the country's vital north-south corridor route. Once fully completed, the M-4 Motorway will provide a faster, safer, more cost-effective north-south route to the currently overburdened national highway 5 and other existing narrow and congested routes. A Chinese-led consortium, including the Shanghai Stock Exchange, emerged as the top bidder Thursday for a 40% stake in the Pakistan Stock Exchange, one of the best-performing markets in Asia this year. The Pakistan Stock Exchange, formerly the Karachi Stock Exchange, said the consortium includes three Chinese exchanges: the China Financial Futures Exchange as the lead bidder, the Shanghai Stock Exchange, and the Shenzhen Stock Exchange. The consortium also includes two Pakistani financial institutions: Pak China Investment Company Limited and Habib Bank Ltd. The consortium’s winning offer, subject to regulatory approval, of 28 rupees ($0.27) per share values the stake at $85.5 million, and the exchange at $213.7 million. The Pakistan Stock Exchange has been one of the best-performing markets in Asia this year, with its benchmark KSE 100-stock index gaining 42% this year. MSCI announced in June this year that it will upgrade Pakistan, earlier classified as a frontier market, to include it in its Emerging Markets Index. Mr. Chamdia said the consortium’s offer is structured so that the three Chinese exchanges will have 30% of the exchange, while the two local partners will have 5% each. Along with board seats, the consortium will also get to nominate the CEO and CFO at the exchange, Mr. Chamdia said. Pakistan has seen major Chinese investment in recent months, especially under the China-Pakistan Economic Corridor, a multibillion-dollar infrastructure program to upgrade the land route between the two countries and also boost Pakistan’s energy generation capacity. Separately, China’s state-owned Shanghai Electric Power Co. acquired a controlling stake in K-Electric, the power utility in Karachi, Pakistan’s largest city. Prime Minister Nawaz Sharif’s government considers boosting foreign investment a key pillar of its plan to revive Pakistan’s economy, and has pointed to the performance of the country’s stock exchange during his tenure as a sign of economic progress. QUETTA: After a delay of more than a decade, the construction of Kachhi Canal project will finally be completed by the third week of August followed by filling of water to test the main canal and its structures. The formal commissioning of Kachhi Canal is scheduled by the end of August with the release of water into the distribution system for irrigation of 7, 2000 acres of virgin land in district Dera Bugti of Balochistan. This was briefed by the project authorities in a meeting presided over by Pakistan Water and Power Development Authority (WAPDA) Chairman Lieutenant General (retired) Muzammil Hussain on Saturday. The meeting was held to review progress on the project. Speaking on the occasion, Lieutenant General (retired)) Muzammil Hussain said that it is a matter of great satisfaction that Kachhi Canal, work on which started 15 years ago, was almost an abandoned project owing to certain reasons; gross cost overrun and long delays being the major contributing factors. However, the project was revitalised due to active support of the incumbent federal government and commitment of WAPDA team, the engineers in particular. It is indeed heartening to note that the project is finally going to see the light of the day after a long period of 15 years, the chairman added. It is worth mentioning that Kachhi Canal project is of immense importance for the development of water infrastructure and irrigated agriculture in Balochistan. The project is being completed with a cost of about Rs 80 billion. The 363-kilometre long main canal (out of which 351-kilometre is lined canal) takes off from Taunsa Barrage in district Muzaffargarh of Punjab and ends at district Dera Bugti in Balochistan. The discharge capacity of the main canal is 6,000 cusecs. As many as 914 structures have been constructed at or over the main canal, including head and cross regulators, road and railways bridges, cross drainage and escape structures and watercourse crossings etc.